Publisher: Ward, Lock & Co, London. 1901. Reprint of revised 6th edition, the most complete one. Condition: Hardcover, cloth. Average. Frontispiece missing. Some wear to cover. Binding tight, text complete. 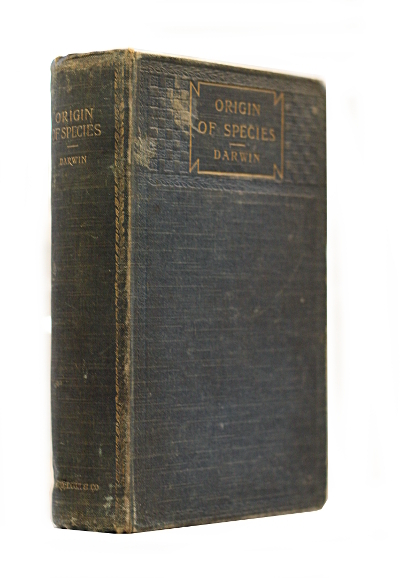 A fairly early edition of Darwin’s most famous work and the foundation of evolutionary biology. Darwin’s book introduced the scientific theory that populations evolve over the course of generations through a process of natural selection. It presented a body of evidence that the diversity of life arose by common descent through a branching pattern of evolution. Darwin included evidence that he had gathered on the Beagle expedition in the 1830s and his subsequent findings from research, correspondence, and experimentation.